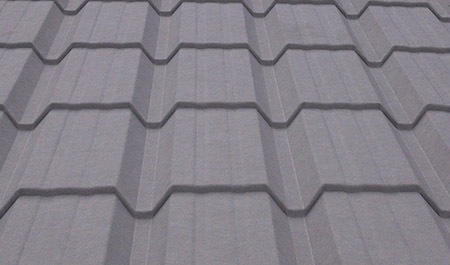 Here at Bushbury Cladding Ltd, we manufacture anti-condensation roofing sheets that are designed to prevent any condensation issues you have with your roof. We are a family run business that has been supplying roofing sheets and related items for the last 6 years, so we’ve learned a thing or two about how to give our customers the best service. If you leave a condensation problem untreated then it may lead to issues such as mould or rot so it is important to have the issue rectified as soon as possible. Our anti-condensation sheets are made by applying a thick anti-condensation membrane to steel roof sheets. When water condenses on a cool sheet roof, the water can trickle down to your walls or soak into your trusses. The membrane eliminates condensation problems by absorbing the water and storing it. Once the air is warmer, the water evaporates away and the membrane dries. Our anti-condensation roofing sheets have proven to be very popular in a whole range of applications, from farming and agriculture to domestic and commercial settings such as garages, workshops, and summer-houses. Sheets available as box profile in polyester paint or plastisol coated finish. A problem with condensation can quickly become an even worse problem if you don’t have the condensation treated as soon as you can. Problems such as mould, damp and rotting can occur from condensation that could cost even more to repair. Here at Bushbury Cladding Ltd, we have been supplying anti-condensation roofing solutions for years and that’s why we can provide the best service to you. If you’d like some more information about what we can do for you, don’t hesitate to contact us on 01902 229 412.